Ex-Democratic Donor Gets 12 Years In Prison For Fraud : The Two-Way A former big Democratic Party donor got 12 years in prison for financial fraud. A former investment banker, once such a major Democratic Party donor that he was national finance chair of Hillary Clinton's presidential campaign and President Bill Clinton's nominee in 1999 for U.S. ambassador to Argentina, was sentenced to 12 years in federal prison Wednesday for financial fraud. Hassan Nemazee, age 60, was sentenced by U.S. District Judge Sidney Stein, ironically also a Clinton nominee, but to the federal bench, for defrauding banks of $292 million. He plead guilty in March as part of a deal with prosecutors. Stein likened Nemazee's fall from grace to something from "Shakespearean tragedy," according to news reports, and it sounds like Nemazee was prone to agree. "Pride, ego, arrogance, self-image, self-importance. All of these and more are the reasons why I traveled down this destructive path," Mr. Nemazee said prior to sentencing. "I assure the court, I take full responsibility for these actions." Not only had Nemazee served as national chair of the finance committee for Hillary Clinton's 2008 presidential run but he also served as chair for the Democratic Senatorial Campaign Committee. He raised money for presidential campaigns of President Barack Obama as well as Sen. John Kerry in 2004. Nemazee gave money to other causes as well. The New York Times reported Thursday that prosecutors wanted the Asia Society and the Spence School, a Manhattan private school his daughter once attended, to return donations from Nemazee. So far, prosecutors have been unsuccessful with those two institutions. An interesting aspect of the sentencing hearing was that the judge told Nemazee that he wasn't throwing the book at him -- he could have given him closer to 20 years under federal sentencing guidelines -- because of the disgraced investment banker's political involvement. Stein said he showed leniency to Nemazee in part because of"his involvement in American political life." If he had followedfederal sentencing guidelines, Nemazee would have received at leastanother three years in prison and as much as 19 1/2 years. The judge's comments could lead some critics to suggest that the jurist gave Nemazee a break because he was politically well connected though the judge seemed to be suggesting that it was Nemazee's civic spirit which influenced him. Prosecutors from the U.S. Attorney's office in Manhattan had alleged that Mr. Nemazee obtained hundreds of millions of loans from Bank of America Corp., Citigroup and HSBC Holdings PLC between 1998 and 2009. ... 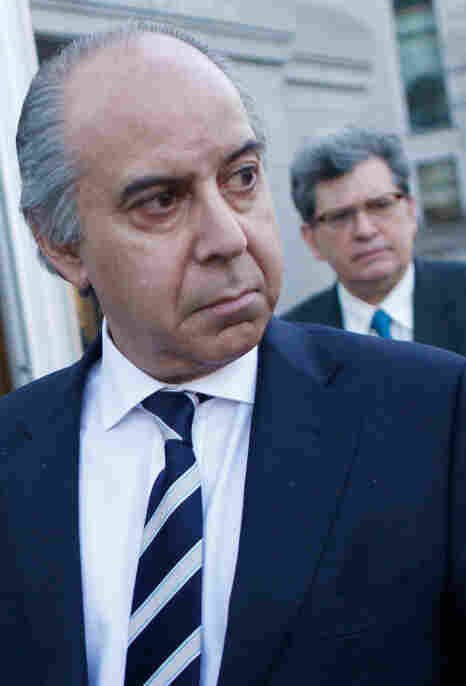 Prosecutors had alleged Mr. Nemazee used the proceeds from the loans to make donations to the election campaigns of federal, state and local candidates; to make donations to political action committees; to make donations to charities; to purchase property in Italy; to make monthly maintenance payments on properties in Manhattan and Katonah, N.Y.; and to purchase part of a yacht.